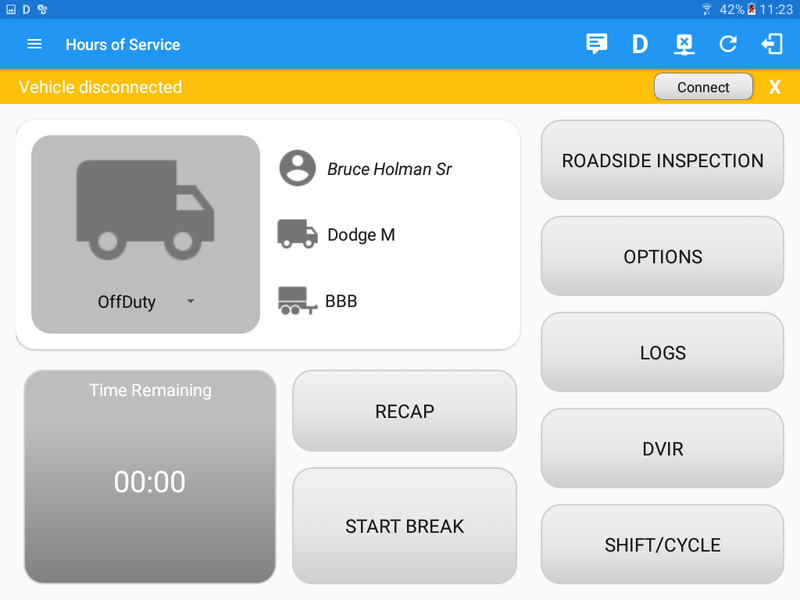 The Driver Options menu allows access to various hours of service tasks including the following: management of vehicle/trailer information, adding of documents and remarks, reviewing of logs, and displaying of how much driving time you will gain after off duty. Go to the Hours of Services Main Screen. Tap on the Options button after which the Options screen will be displayed. ‘Vehicle/Trailer’ button: This functions in the same manner as the ‘Switch Truck’ feature. ‘Gain Time’ button: Displays how much driving time you will gain after going Off Duty. 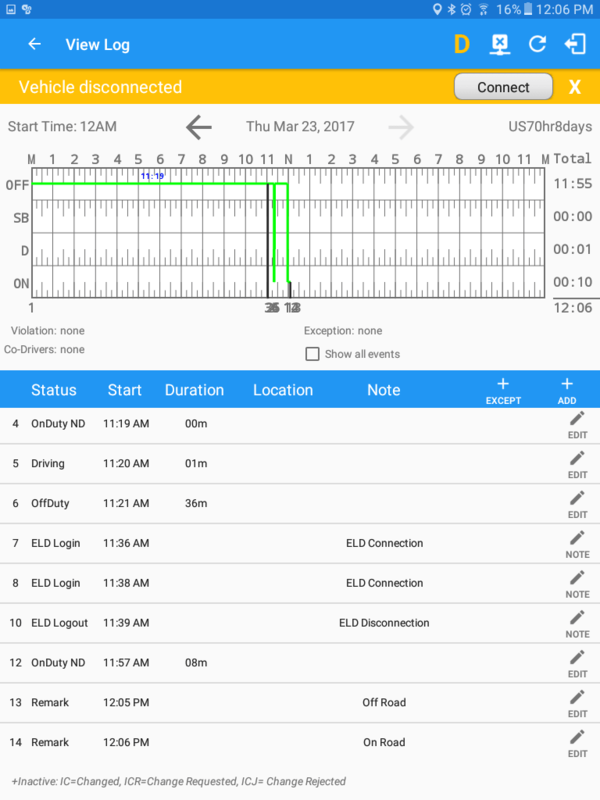 ‘Shipping Docs’ button: This enables you to provide the transport document (manifest) that serves as the detailed summary of all the bills of lading issued by a particular carrier for a particular travel of a particular vehicle. The information of the shipper (the person or company that sends or transports the products) and raw materials or products sold or bought are also provided. However, it is possible for the driver to add another ‘16 Hour Driving Window’ exception when a cycle reset has occurred. 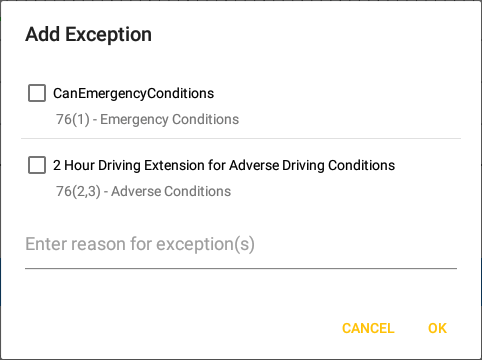 Nevertheless the driver will need to wait for the current cycle to end to be able to enable the exception again. ‘Remark’ button: This is where you can add a particular remarks or comment in a particular location. 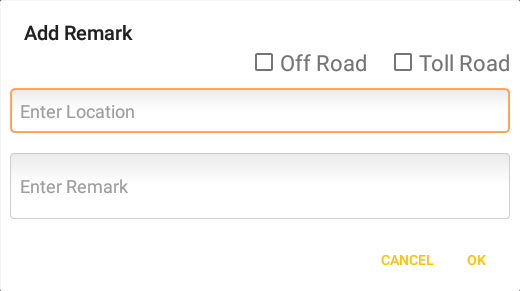 You may also enable the Off Road and Toll Road options. These options are used for the IFTA calculations. 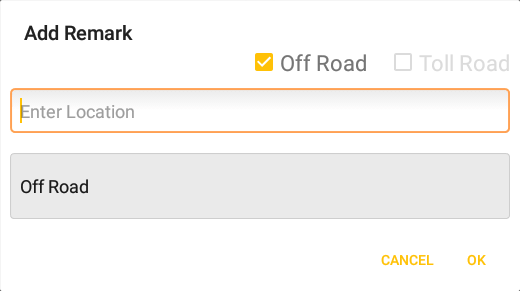 Check the options to create a remark with a Note: Off Road and On Toll Road, respectively. To indicate that the driver has entered a normal road again, uncheck the Off Road or Toll Road option. This will create a remark with a Note: On Road and End Toll Road, respectively. 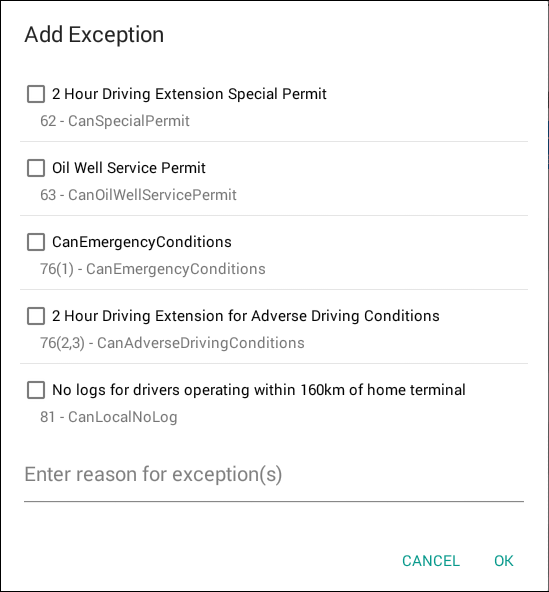 After clicking ‘Ok’ button, remarks added are seen in the Driver’s Log. 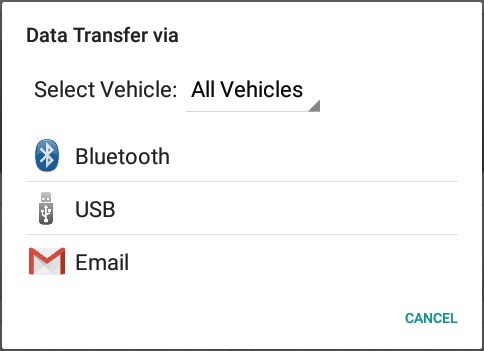 ‘Data Transfer’ button: This is where you can display the dialog with the supported data transfer options. Tap the Data Transfer button. The Data Transfer dialog with then be shown. See the Data Transfer section for more details. 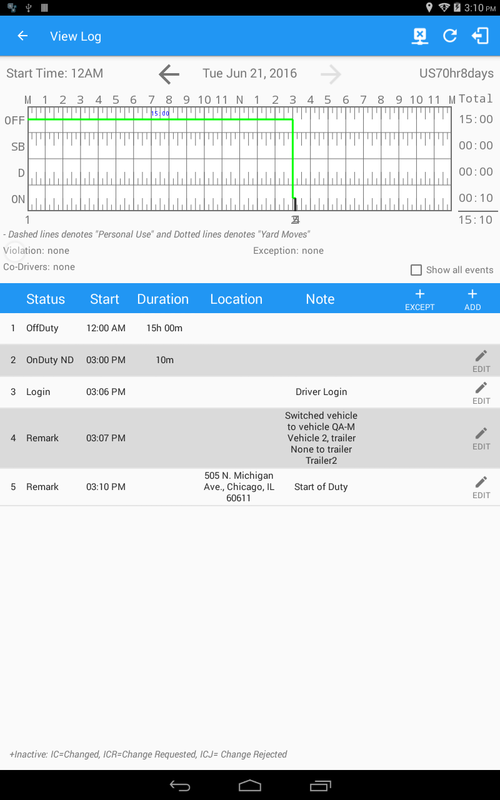 ‘Logon Co-Driver’ button: This will allow another driver to log onto the app. 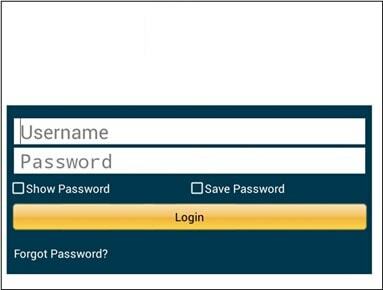 Tap Logon Co-Driver button, after which the login activity will then be displayed. 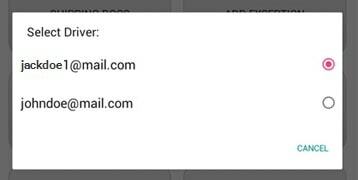 Note: Only authenticated users with a driver role are allowed to log-in to the application. ‘Switch Co-Driver’ button:This will allow the driver(s) to easily switch driving when on duty. Tap Switch Co-Driver button , after which the Select Driver dialog will then be displayed. 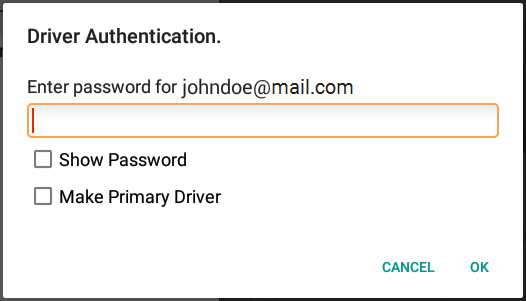 After selecting a driver it will then ask for the password before displaying the Hours of Service Main Screen of the current driver. Note: By checking the Make Primary Driver checkbox, you can set the switching driver to be the primary driver. ‘Return to HOS Screen’ button: This allows you to go back to the Main Screen. Tap button to be able to navigate to the Main Screen. ‘Document’ button: The Document’s feature provides an easy way to capture and view documents related to hours of service activities. This includes documentation such as bill of lading, fuel receipts, accident photo, etc. 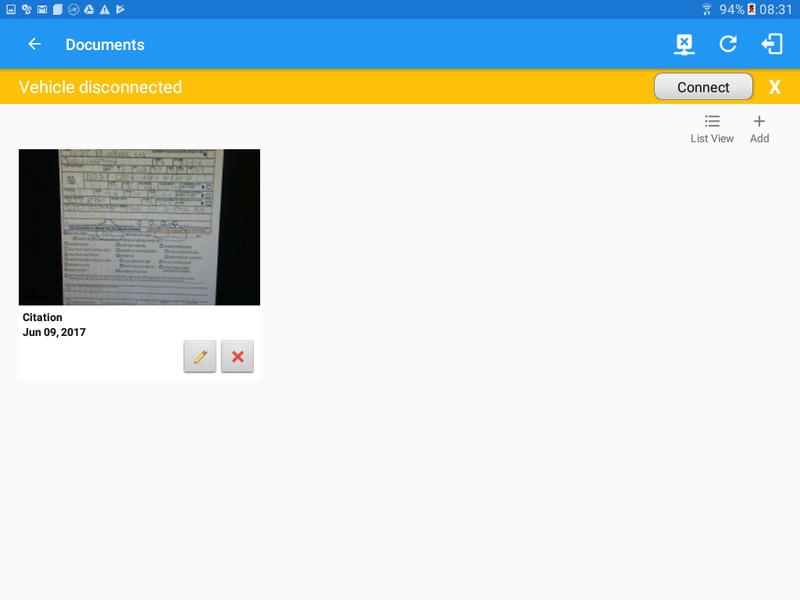 Tap the Document button after which the Documents screen will then be displayed.